Blender 2.49 Subsurf crashing the game in EE2 AoS?? Hi, I have created a unit that worked fine in the game---till I added subsurf modifier in blender 2.49b. I think the problem is too many triangles but I am not sure. Please help or give me a hint, meanwhile I will keep trying or return to original unit without subsurf. Regards to Mona, Domdom and rest of the forum members. Re: Blender 2.49 Subsurf crashing the game in EE2 AoS?? Im not a 3D Modeller, but for me sounds a little bit strange, that ee2 can not support many triangle. 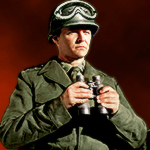 See the "Fuehrer" Moddel from the Patch. The best is, to test, test and test. EE2 bugs sometimes in Modding and is of cours a old game with a older engine. So you must have a littel bit luck, that it works. My, Ideea is to test, how many Triangles in a Moddel the game support. Can be, that this is limitted. More i can not say to this Topic. Many luck. Im not a 3D Modeller, but for me sounds a little bit strange, that ee2 can not support many triangle. Allowed "triangles" are limited in EE2, that's why St. Basil's Cathedral has empty/removed walls on the back, and that's why we used some different ship model for "Titanic", instead of the normal Titanic model. I never used Blender myself, but it's important to remember that not all technologies/modifiers are supported by EE2 which was under development in 2004. If I remember correctly it was required to use an older version of Blender, and also 3ds max software to generate correct model files. Rest I don't remember and I'm not going to learn it again.